I don’t really know how to start. I’ve been on this journey that is ‘trying to become a writer’ since I was 14. I was really bored in a science lesson, so opened my pad and wrote ‘Chapter One’ in my notebook. Lots of people liked the extract I penned in that lesson, so I thought I should finish the chapter really. That then became three chapters, and before I knew it, I was writing a novel. I’d come home every day from school and spend the first hour or so on the family computer, adding to my work in progress. Incidentally, this practice was what taught me how to touch type; during the winter, it would be getting dark while I was writing, and a combination of being so engrossed in the writing process and laziness, meant that I’d sit there fumbling at the keyboard, unable to see what was what, until I learned where the keys are without a need to look down. When I was sixteen one of the teachers suggested I could eventually try to get my work published. That hadn’t occurred to me before; writing was just a hobby. I enjoyed losing myself in the fantasy world I had created, but undoubtedly seeing people reading and laughing at my work (because it was funny, I should point out) did give me a tremendous amount of pleasure. It seemed like the perfect conclusion. I like to write, so yes, I should try to get published. Of course, I was a kid back then. I knew nothing of the process. I have no recollection of what I thought actually happened, but I very much doubt I pictured the convoluted, crushing world that I would eventually discover. But once the idea had been planted in my head that I could be published, that was what I wanted from my life. It’s always been the target, the overall trajectory I tried to follow as I went to college and then university. In 2011, when I graduated, I was one of the lucky ones, in that I left university straight into a great job, working for a great company, with nice people. Of course, living in one of the most expensive areas of the country during a recession wasn’t financially viable, and so I had to move back to Cornwall. Instead of seeing this as a setback, I decided to view it as an opportunity. At the moment, jobs are so heavily contested, that suddenly the prospect of making a living from my writing didn’t seem like such an unrealistic goal. Getting a regular, full time job, that I knew would be secure – that was the pipe dream now. So I started to look around for freelancing work, and have begun to build myself a bit of a reputation amongst businesses in Cornwall for copywriting. My happy clients not only enforced in me the belief that my writing was actually good, and I used my spare time to prepare the novel Politics in Blood, which has grown from the book I originally started writing in school (although it is so different it is barely recongisable, considering it has had a change of pretty much all the characters, the plots, and almost everything else). 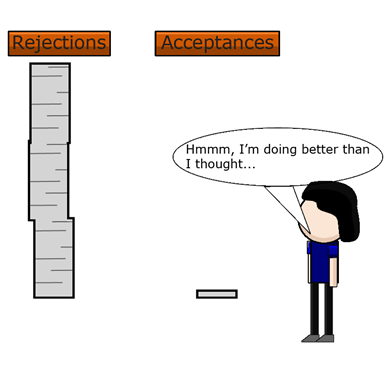 Several rejections followed from various agents, unsurprisingly. However, last year, something happened that strengthened my belief in myself as a writer and put me on the path towards my ultimate dream. I applied to the publisher PersonalNOVEL, a German company expanding their range of customisable novels into the UK market, to be a novel writer for them. 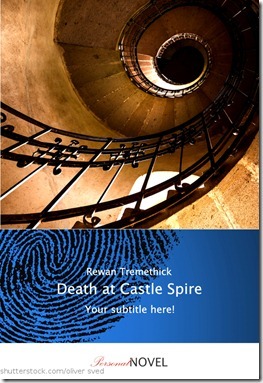 Death at Castle Spire came out in December. I could experience the joy of holding a book that I had actually written, reading my words from a page that wasn’t printed by myself, and look at my name on their website. 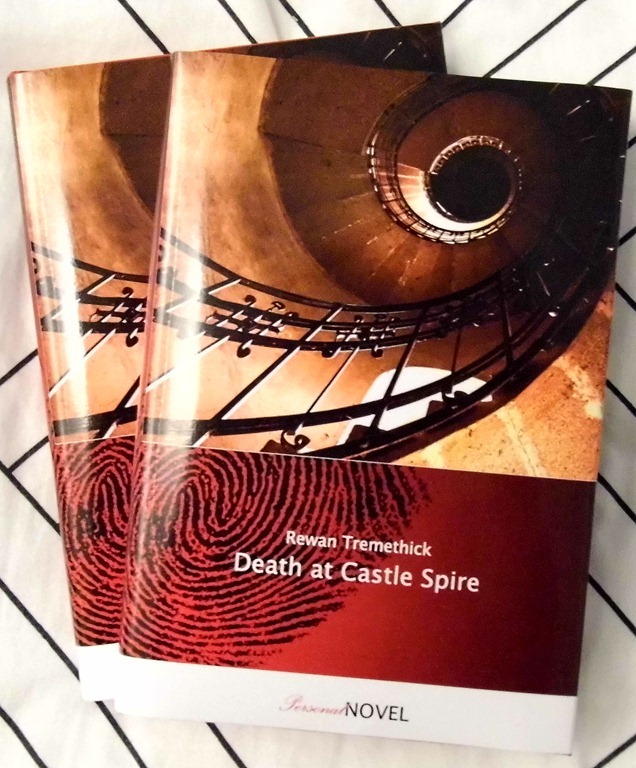 You can read more about what a Personal Novel is, and Death at Castle Spire itself, here. When November came around, I once again wanted to participate in National Novel Writing Month. Editing Politics in Blood had taken up so much of my time, I felt that I hadn’t written very much recently, and was eager to get back to producing new work. By the end of the month, I had completed Fallen on Good Times. I spent the next six months furiously expanding and editing it. In the followers’ list of someone else’s Twitter page, I saw Paddy’s Daddy Publishing. 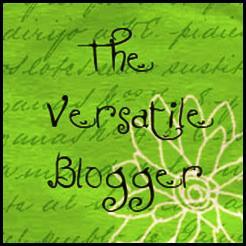 I noticed they were a new independent publisher, and would be looking for submissions soon. I had already decided to try submitting to independent publishers next, as I thought they might be more inclined to take a risk on me. I was going to talk to them a bit, try and build a relationship with them, and then submit when they opened in April. I didn’t need to, as it turned out. After checking me out as their new follower, they came onto this blog, read some of my writing, and became interested in me as a writer. They tweeted at me, telling me they liked my writing and that I should submit something when they opened for submissions. Having a publisher invite me to submit something, after all the rejections I had received from agents, was an amazing feeling. I have always managed to be in two minds about my writing. I have truly believed that it is good (it’s my one skill; everyone has one), yet at the same time, who was I to judge my own ability? Most writers probably deep down believe that they were good writers, and they’re not always right. Why did I have the right to be so arrogant? Paddy’s Daddy inviting me to submit was the third piece of key information regarding my writing that has kept me going, no matter how bleak things always looked. The second was of course PersonalNOVEL publishing a book of mine. The first happened when I was about 18, and was on a writing forum. I had posted a short story, and someone who was a creative writing lecturer and author had read it and told me that they had no doubt I would be published one day. I know it’s easy to say things like that to people on the internet and not mean it, but I have always carried that with me. Why didn’t I submit Politics in Blood to Paddy’s Daddy? Because I believed that Fallen on Good Times was more ready, and also because I was more involved in that now, having not touched Politics in Blood for several months. The characters in Fallen on Good Times were holding my attention at the present. It might seem odd that I considered a book I started recently to be more ready than one I have been working on since my childhood, but it’s not so strange. Politics in Blood was the novel where I learned how to write. Every revision taught me new skills, every read through detected new problems. Generally, once you have spotted a mistake, you don’t make it again. Fallen on Good Times took a much shorter time to get ready because I’d spent plenty of time making mistakes on Politics in Blood, so my writing is much stronger than it was when I started that novel. Fallen on Good Times is due to be released in 2014. Until then, I will continue to fine tune it. 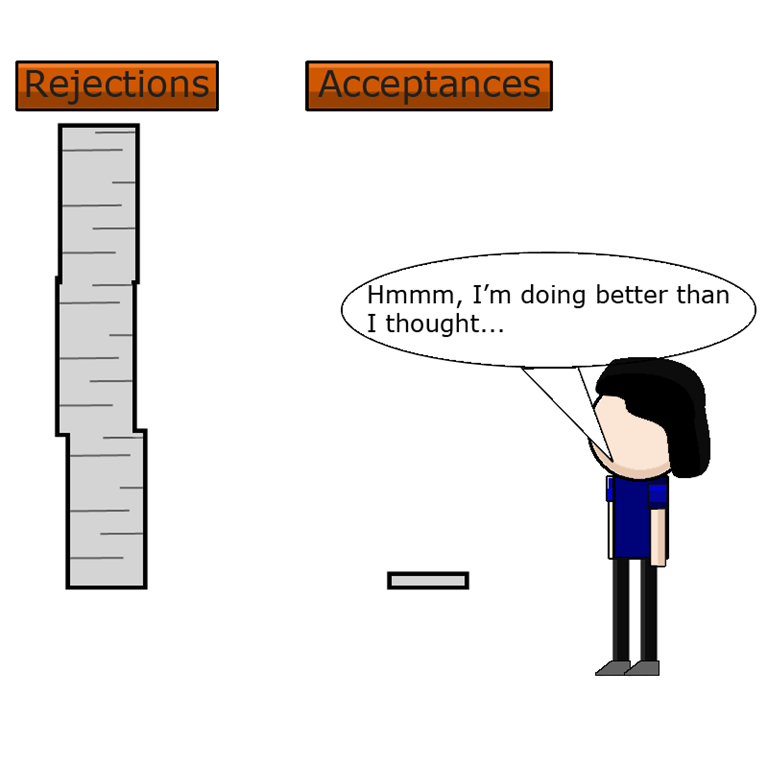 Having been accepted, it’s obviously already good, but I want to keep tightening it up. Paddy’s Daddy’s first two authors; Suzanne Egerton and Des McAnulty are already receiving 5 star reviews, and I want to make sure that, when Fallen on Good Times is released, it can stand shoulder to shoulder with their novels. I consider Fallen on Good Times to be my debut novel. Technically Death at Castle Spire should be. I’m very proud of it, and I love working with PersonalNOVEL. It’s such a new and unique concept that a lot of people don’t know what it is, which means I spend a lot of time explaining it to them. Fallen on Good Times is a ‘traditional’ novel; there’s no explanation required, other than what it is, who’s going to publish it, etc. 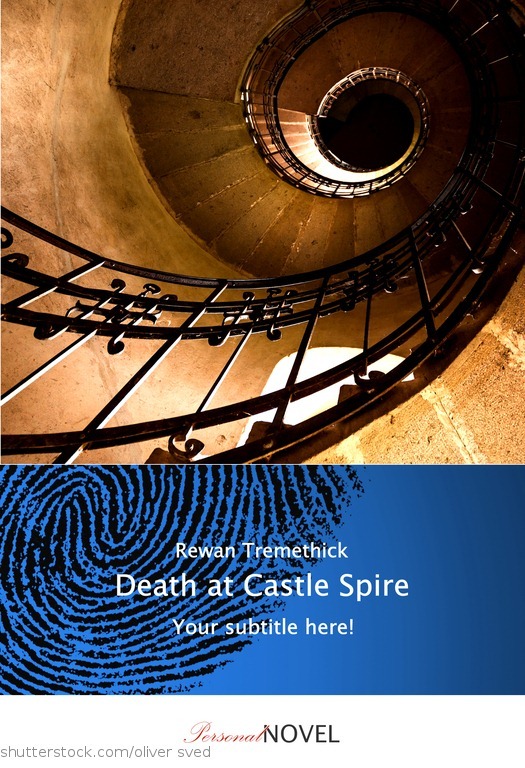 Because PersonalNOVEL is all about crafting a beautiful bespoke novel, unique to you, you can only order Death at Castle Spire through their website. Fallen on Good Times will be in most of the usual places you would find a novel. There are a lot of exciting things ahead of me as I continue to refine Fallen on Good Times, get it ready to go out into the wide world, and promote it to ensure it gets a good reception. Those of you who have read my About page will know it ends with ‘I hope you will join me on my journey to becoming a published author’. That journey isn’t over yet, although now I can clearly see where the road is headed. Hopefully you’ll stick around for the rest of it. I’ll release some details about Fallen on Good Times in a future post. For now, you can check out the website of my publisher (what a great thing to be able to say…my publisher), Paddy’s Daddy, and Like them on Facebook. The content of this post (excluding images) and the word Hyperteller are copyright © Rewan Tremethick 2013. A personalised novel is one in which you get to choose the characters’ names. This means that you and your friends can be the protagonists of the story. In the case of Death at Castle Spire (and I get to italicise that, because it’s an actual book), this means you and your friends become trapped by bad weather in a castle. But that’s the good news. The bad news is that one of you has murderous intentions. Who will survive to the end, what was so special about that painting that was stolen, which one of you is the killer? Why am I talking about Death at Castle Spire? Because I wrote it . I have a book published! You can find out more about it, personalised novels, and buy it, here. As you can probably imagine, I am ecstatic about this. Since I was a teenager, I dreamed of getting a novel published, and this brings me one step closer to the dream. I didn’t know about personalised novels when I was younger, so I would still like to get ‘traditional’ novels published, but this is a great example of how technology can make reading even more pleasurable. At some point, we all dream of being the heroine or hero of our own story, and personalised novels give you the chance to do just this. It’s a fantastic idea, and the books look amazing quality. I’m currently eagerly awaiting the arrival of mine; beautifully woven red linen bound with the cover printed on a dust jacket. Even though I know the story, I shall be reading it through as soon as it arrives. It’s strange, but even though I can just print out a copy of the story from the manuscript on my computer and read that in the knowledge that it has been published, it’s just not the same thing. I want to be able to open the book, not just pick up the sheets of paper; I want to turn the pages; I want to smell that new book smell. Obviously you can imagine the feeling of validation this has given me. As writers we naturally have to spend a large amount of time worrying about whether our work is actually any good. That a publisher has decided it is of high enough quality to release gives me well needed reassurance. When my copies arrive, I’ll write a post running you through the finished product. Thank you to everyone at Personal Novel for their hard work in putting this together. I really appreciate it. So this week I’ve had two pieces of good news. The first is that I am going to have a short story published in Misspelled Magazine at some point in the near future. This is particularly pleasing because I haven’t been able to do much creative writing recently, what with all the other things I’ve had to be doing, so this will hopefully be a nice motivator to get me sending more stuff out. I had been thinking for a while that my Writing page has remained unchanged for too long, so this will make a nice edition. The second, and equally good, piece of news, is that the lovely folks over at Cecile’s Writers have nominated me for the Tell Me About Yourself Award (thank you, peeps). If you’re thinking “Wow, I’d love to be able to visualise those words with a bee above them”, you can realise that ambition by looking to the left of these words. As you can imagine, the Tell Me About Yourself Award requires me to tell you some things about myself. Anyway, enough pondering. On with some facts. I have recently come to the conclusion that one day I will have to study psychology. This comes from the fact I am incredibly self-reflexive, and always try to break down my thoughts and feelings into their genesis. I think that’s a good thing – it makes for more balanced and considered opinions – but one day my pop-psychology will get me into trouble. It also comes from the fact that the main character of Politics in Blood has Derren Brown-esque powers to manipulate people’s minds, and I believe a knowledge of psychology would allow me to develop that aspect of her character. I don’t drink. Not for any high-and-mighty reason, I just really don’t like the taste. The amount of people who cannot accept this really baffles me. I don’t eat cheese, either (except on pizza), but while I often come across people who try and force me to have a drink, I have never been pinned to the ground and force-fed Stilton. Honestly, become teetotal for a few days. It’s amazing the extent to which alcohol is a part of our culture. That’s not me being preachy, just slightly annoyed at having to give a massive essay every time I tell someone I don’t drink. I have very high expectations of myself. It took me a long time to accept that it’s OK to be 22 and not yet have a book published. Having said that, I’m still not entirely sure that I’d be OK with being 23 and not having a book published. I’ll find out in six months. I love classic comedy. I consider Morecombe and Wise to be the greatest comedy duo that ever lived. I also love Monty Python, The Marx Brothers, The Goon Show, The Two Ronnies and Tommy Cooper. I love a lot of modern comedy too (Not Going Out, Miranda, Black Books, Father Ted, The IT Crowd) but mostly I feel that the classic age of British comedy has passed. I’m not entirely sure what I believe happens after death, only that I hope it involves some sort of statue of me being erected in town squares. I like to write my own music (only for myself), but as I am the most beginner of beginners when it comes to playing the guitar, and the only instrument I am good at is drums, I have to hum each melody/tune/part into a microphone hooked up to a guitar tuner, use that to score the song on the music software, and then learn to play it on the guitar retrospectively. I have a business presentation on freelance copywriting for the business course I attend that I should be writing instead of doing this. This follows on from my post a few days ago, Getting published: is it luck or skill? One of the comments, from Billie Jo Woods, pointed out that “some of us will always have to work harder than others to get little to no reward and others will get their break with minimal effort”. This got me thinking about those people (we all know them) who have success pretty much given to them. They seem to waltz through life, getting everything they want just for breathing, whilst the rest of us struggle to get where we want to. A lot of people are jealous when people like that get success. The thing is, success is made better by hard work. Sure, they might have some fame and more money than me, but I can guarantee it won’t feel as great. Hard work is what makes success. If the moment I typed the last word on Politics in Blood, a publisher had appeared in a puff of smoke and said “Well done, here’s some cash”, it would have seemed like a very hollow victory. A lot of people I know, upon hearing that my book still hasn’t been published, have asked me why I haven’t just put it on Kindle myself. The answer is “Because I can”. Before I go any further, I know that there are a lot of writers out there who work very hard to produce a high-quality book which they then self-publish, and they should be applauded for that. But places like Lulu and Amazon are full of ebooks that someone has written in a few days, and not even proofread. Terrible style, terrible grammar, terrible characters, terrible blurb; it’s on Amazon for £5 and they sit there wondering why nobody buys it. For me, I have grown up imagining the day when a publisher accepts my work. I started writing Politics in Blood when I was about 14. I finished it when I was 19, but in the three years since then it has been upgraded, revised, mutilated and mashed-up so much it is nothing like the book I started writing. But I don’t consider the actual writing of the book as hard work. It was tough, yes, but it was a hobby and a pleasure. I wrote it, as I write everything now, because I was inexorably compelled to do so by something inside me. I don’t see writing the book as the hard bit, so self-publishing it would leave me with a very hollow feeling inside. Which isn’t how success should feel. I wouldn’t think of it as success. To succeed, you have to overcome obstacles. Success is defined by the hard work that has gone into it previously – the more you put in, the more you get out. As human beings we are predisposed to relish in something that is hard won. It’s a vital fact of all life, no matter what it is. If Jesus had hopped off the cross the second he was nailed on and strolled off, it wouldn’t have had much of an impact. If the Berlin Wall had fallen over the moment the builders took the spirit level off the top, it would have gone down in history as just an embarrassing footnote. It’s why we all love stories. The world is filled with obstacles – we all face them in our daily lives – some of which are easily removed, some of which block our path indefinitely. In a world where obstacles can destroy humanity, civilisation and culture, we all love to absorb ourselves into a story about someone who actually does something. The problems of this world can be solved, by protest, by unity, by a show of strength and love. We have to dig our heels in and refuse to let the machines of greed, of capitalism, of tyranny roll over us. We have to stand and fight. But this takes time. Whilst it does, we satisfy our need for resolution, for progress and for triumph in the pages of a book, in the spoken words of a play, or the images of a film. Our desire to see someone triumph over their obstacles is what makes us read. If Mount Doom had been an unguarded hole in Frodo Baggins’s back garden, The Lord of the Rings would have been terrible. It was the challenges he faced that drew us in, and it was the fact that such a small, unimportant person could change the world that lit a fire in our hearts as we secretly dared to believe the same could happen in this world. It’s why we empathise so strongly with people who aren’t real. The central characters of books go through hard times, and we are right behind them because the struggle means something to us. It’s something that is inside of every one of us, whether it is our own internal demons or external aggressors, our circumstances or our faith or lack of. We read because we want stories of triumph. In a world of immovable obstacles, a narrative climax is a burst of hope. It sets a precedent for our own lives. Which is why, although it may have been easier had a publisher magically appeared, it would have saved a lot of anger, of stress, of asking ‘why not me?’, of self-doubt and anguish, I know that deep down I wouldn’t have been happy had it really happened. I don’t know when my book will be published, but I know that when it does, the relief and euphoria that comes from it won’t be from the act itself, but from the years of work and effort that have piled up behind me, driving me forwards under their weight. Whether it be trying to end racial hatred, go outside without feeling scared, or getting the recognition we crave, we each have our own struggles. It is the work we do that makes the end a climax, not simple a rounding-off of events. It is hard work that creates progress. Without hard work, all we have is forward motion, and what an empty thing that is. Getting published: Is it luck or skill? You never get a ‘skilled break’, do you? I remember reading recently someone famous (an author, comedian, musician – I can’t recall) talking about how they made it big. They were recounting their lucky break, and mentioned that it’s funny how it’s referred to as their lucky break, considering they had to work hard for several years to get it. This got me thinking. In my journey towards becoming an author, am I waiting for my hard work to pay off, or for my luck to change? There’s a quote that goes along the lines of ‘There’s a word for a writer who doesn’t give up. Published.’ I like it, because it implies that how hard you work makes a difference. Which is the right way for things to be, I’m sure you would agree. I’ve been working on my first novel since I was about fourteen. It’s changed and evolved so many times, it’s fair to say Politics in Blood is now a completely different book to the one I started writing. Plot, character, title, setting have all evolved so much, the original would be hard to recognise as the genesis of the work I hope to get published one day (one day soon, please). Every day I would come home from school and work for an hour on the book. I learned to touch type because I was so engrossed in writing that when it grew dark outside, I couldn’t be bothered to get up to turn the lights on, so had to feel for the keys in the dark. After a while, it became easy. I thought nothing of hitting the 50,000 word mark, deciding the plot was wrong and starting from the beginning. If you add up all the drafts, I must have written somewhere between 500,000 and a million words for this one book. I’m not saying that was hard work. Other people do the same thing on top of having jobs to go to and kids to raise. But it’s also not as if I was holding a pen next to a notepad, sneezed, and looked down to find the completed manuscript. You have to believe, as a writer, that if you work hard enough, you’ll reap the rewards. Otherwise you have to look at the fact that people don’t always get want they want, and that’ll kill you. But I expect the majority of people in the world work hard to get what they want, and they don’t. You can work as hard as you like for the pound it costs to play the lottery; it won’t guarantee you will win the jackpot. You read a lot of stories about people having the most extraordinary amounts of luck. People who trip over in the street, their manuscript falls out of their bag and skids to a halt at the feet of a bigshot in the publishing community. In picking it up for you, they see the first few lines and are hooked. A few phone calls and meetings later, they get a massive publishing deal. Honestly, I expect there are a lot of writers out there who are not waiting for their hard work to pay off, but are waiting for their lucky break. When you read about the remarkable coincidences that get some people published, you start to think that there is no point in doing any of the hard work, as ultimately it doesn’t matter. What matters is that you run around your house backwards three times, consult a witch doctor, don’t step on the cracks in the pavement. Those are the things that will get your book published just as much as working hard, promoting yourself, getting your work out there. I think it comes down to both. There’s no point tripping over in the street in front of a publisher if you haven’t done the hard work so that you actually have a manuscript written to be in your bag. If you have never bothered to write it, what’ll happen is that publisher will end up with the skin of that banana you had for lunch on their shoes. That probably won’t result in a publishing deal. No one is that lucky. Not everyone can get what they want. Unfortunately, there are people who can’t make the grade, who can’t write well enough for their work to ever be published and widely read or acknowledged. I’m not saying I’m not one of those people, simply that it is a fact that not everyone is a good writer, or a good artist, or an amazing singer. If we all got what we wanted because we had worked hard for it, the amount of terrible books out there would be a millionfold what they are now (a topic for another post would be if you have worked so hard, should you deserve it automatically?). Getting published is about doing the work so that when a big opportunity comes along, you are prepared to make it work for you. It’s a paradox; without the lucky break, your hard work will go to waste, but without the hard work, you won’t even notice that it is a lucky break. So, if you’ll excuse me, I’m off to run backwards around my house whilst reading The Elements of Style. Well, after pondering all those rejections, I finally got another short story accepted. Funnily enough, it was the one I was considering abandoning when discussing When is it time to abandon a project?. You can read The Ghost Ship Mipherros on Indigo Rising’s website, here. That takes my total of short stories published up to three, which is apparently the magic number. Unless we’re talking Matrix films. Or arms. I had a story rejected recently. You might wonder why that comes under the banner of semi-success. Well, because it was the first rejection I’ve had that came with some feedback. That means whoever read it saw some potential in my writing, enough to make them give up some of their time to give me a few pointers. Since the last thing a busy editor needs is a rejected writer emailing them back, I’d like to say thank you here, just in case they one day read this. And, having considered their feedback, they were most definitely right, and I’m excited to get back to the piece and improve it. With any luck the good news will keep on rolling. Check back soon. Hopefully you won’t find that my family has been abducted and I’m trying to blog with a pen and paper wired to a telephone line because my laptop got tired of overheating and went for a dip in the sea. I finished reading Michael McIntyre’s autobiography recently, which is what inspired this post. As much as I like him, as a writer I can’t help being a little annoyed that at the beginning he says in preparation for writing his book he went out and bought a 27” Mac. He managed to combine the twin disciplines of buying a Mac even though you don’t need one, and being a pretentious writer before he’d even started. Then again, if I had his money, I’d have bought myself a Mac to write a new book on. What the hell; a gold-plated one. Chances are, if you are reading this you are probably an aspiring or established writer, or the FBI, keeping close watch on me because you think I stole that nuclear camel. If you are an established writer, then this question is a lot more hypothetical, but as an aspiring writer, there are questions that need to be answered. Success isn’t about being given stuff. Any businessperson knows that you have to spend money to make money. Journeying towards success can be costly. In case you skipped the Occurrence of the Week section, this question arose when I finished reading Michael McIntyre’s autobiography. Hating Michael McIntyre seems to be the ‘in’ thing to do, as happens when anyone gets really popular – there are always those people who hate them just because they think it makes them cool and alternative. But regardless of whether you like McIntyre, hate him for stupid reasons, or genuinely don’t like his comedy, there is one part of his book that applies to every single person craving success. When he was working towards becoming a comedian, he was £30,000 in debt by the time he got his break. Whatever you think about Michael McIntyre (you might not even know who he is), you have to admit he had determination. It could be argued that after a while, he must have known it was only a matter of time until he had his break, and the money started coming in rather than going out.He must have been in quite a lot of debt before he got to that point though. Which got me thinking, how far would I go? The idea of being even £5000 in debt is as appealing to me as an ambitious taxidermist’s call for human volunteers. I guess perhaps I won’t know how far I’m willing to go until I get to the line. What about you? Just in case I’ve succeeded in getting you to ponder the limits of your own ambition, I’ve put together a list of things that could happen in our pursuit of authorial success. Where would you draw the line? Answers in the comments section. Cutting back your hours at work. Leaving your job to pursue your writing career. Allowing your partner to support you when you are not earning. Claiming some kind of unemployment benefit whilst you work. Crossing the line into debt. …with one arm tied behind your back. Selling treasured possessions/heirlooms to keep yourself afloat. Selling your soul to Satan. Ambition is definitely important. It makes us aim high. Better to achieve half of your demanding goals, than to coast through life and never achieve any. But there comes a point where ambition becomes obsession. As writers, we need to learn to recognise it, otherwise one day when we finally hold our precious first novel in our arms, we’ll realise we have no one left to share it with. That was a bit depressing, wasn’t it? So, in order to ensure you leave happy, not a whimpering wreck of paranoia, afraid to go near pen or keyboard for fear of destitution, here’s one of my favourite Stephen Fry and Hugh Laurie sketches. It’s about language too (see, topical?). Sort of.